Generally-speaking the winter wasn’t very harsh. After a regular budding around April 10, the vines continued their normal growth. The cryptogrammic diseases generated by heavy rainfall during the months of May and June were well managed by the professionals. The flowering started around June 10 and continued until June 25 for the later-ripening areas, affected by the cooler weather on June 18. The whole wine-growing region enjoyed a sunny summer, alternating between scorching heat and fresher conditions. Overall, the temperatures were slightly below the average for the season, notably towards the end of August. From a quality standpoint, the gloomy weather during September thwarted the hopes of a great vintage year. Fortunately, the producers were patient and were thus able to take advantage of a superb month of October. From the start to the end of harvest time, all Alsace benefited from a real Indian summer, very hot and basically without a drop of rain. The ripeness gains were spectacular whereas the acidities were fairly well preserved. October 15 for the Vendanges Tardives and Sélections de Grains Nobles indications. The consented efforts on behalf of the 15 Grands Crus producers should be hailed this year for introducing the January 1, 2001 decree, intending to reinforce the production disciplines (yield decrease, recording of minimum alcohol degrees …). Without reaching the performances of the previous vintage year, the production of Vendanges Tardives (15,500 hl) and Sélections de Grains Nobles (2800 hl) was fully in line with the consented efforts. It should be stipulated that 2001 stands out from having recorded the minimum alcohol degree for these two indications. The overall harvest volume reached 1,217,000 hl, including a little more than 1,010,000 hl for AOC Alsace, nearly 160,000 hl for AOC Crémant d'Alsace and 48,000 hl for AOC Alsace Grand Cru. Pinot Blanc was very healthy, with a perfect ripeness for Crémants d’Alsace. 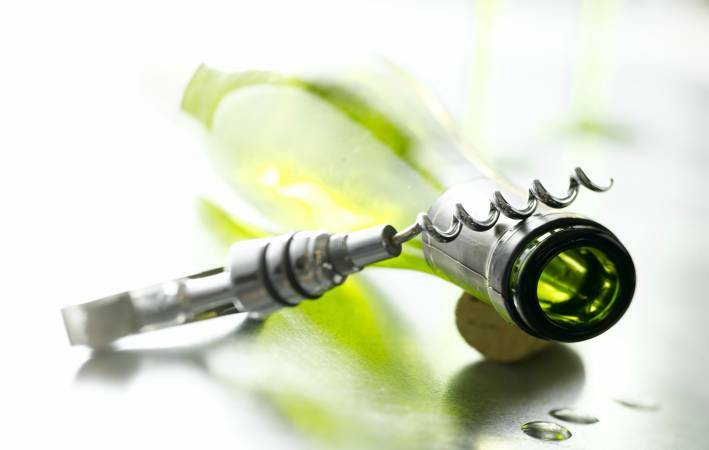 Sylvaner, Muscat and Gewurztraminer boast a beautiful aromatic expression, a telling indication of success. 2001 is the year for Riesling which reached a wonderful level of concentration while preserving its characteristic freshness. Pinot Noir has deep colours thanks to the healthy grapes and an excellent phenolic ripeness (colour). Tokay Pinot Gris also has some great success and since its quality strongly depends on the harvest date, it’s obvious this once again played an important role. 2001 is the first vintage year of the 21st century and very successful in whites, with very pure dry and sweet wines. Perfect ripeness and quality acidity guarantee a long keeping potential. Even the generic AOC Alsace wines are still perfectly delicious after having aged for over twelve years, often with a moderate aromatic evolution. Illustration with two very great wines.